Opposing Viewpoints in Context is a resource that brings together academic articles, audio, videos, opinion essays and primary sources about contemporary controversies and hot topics. Whether you need a balanced view or support for your position, Opposing Viewpoints is the first place to go when you're researching a controversial or contentious issue. 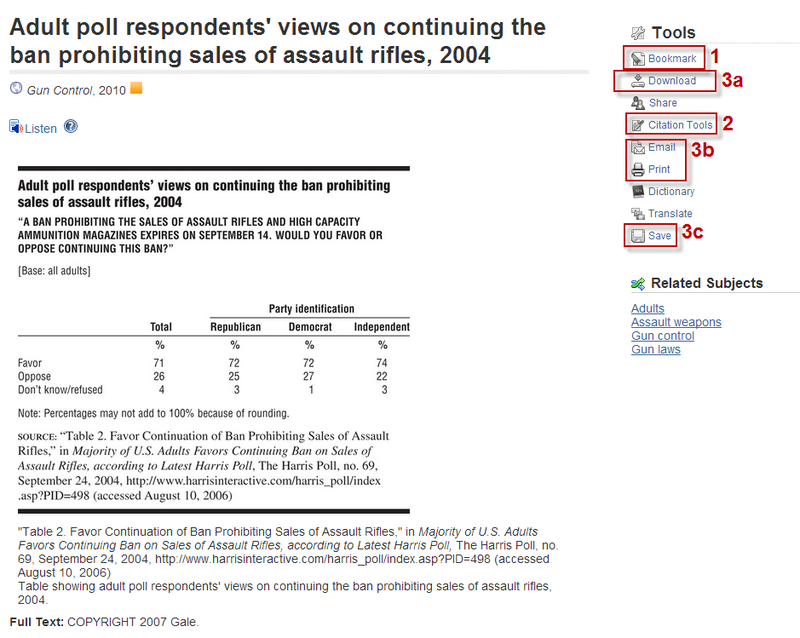 Look for and click "Opposing Viewpoints" from the alphabetical list. Enter your college login and password if asked to. 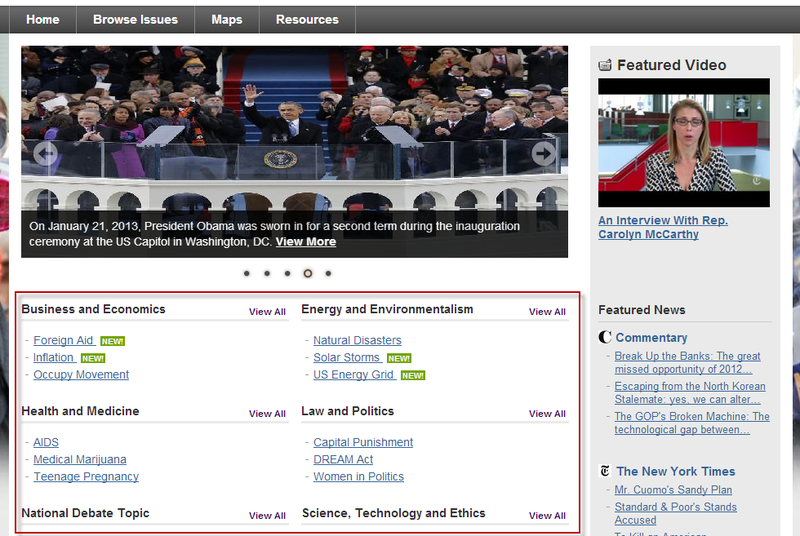 Beneath the header image, you will see a list of hot topics, organized by broad subject category. 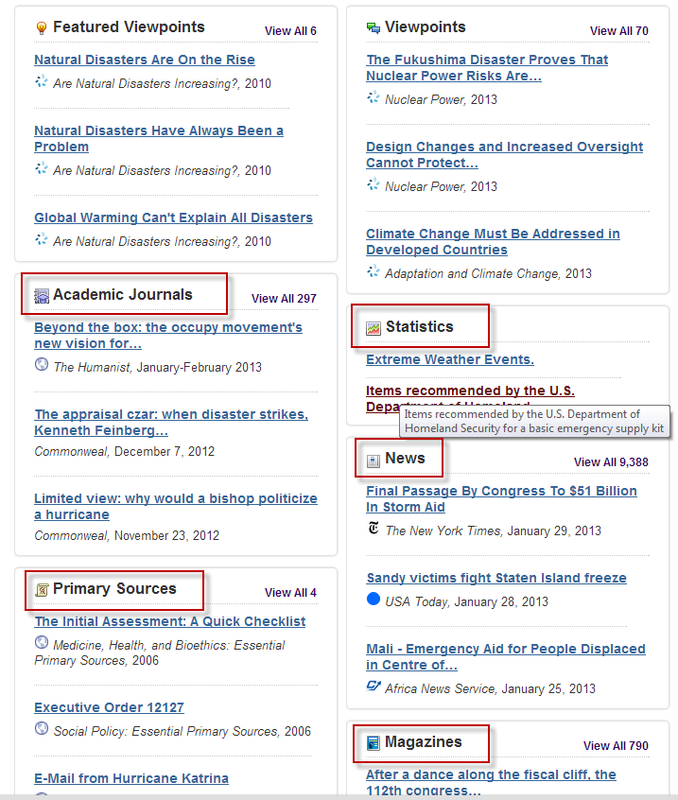 Click on a topic to be taken to a page with resources on that topic. Search any word or phrase in the box at the top right of the main page. Put phrases in quotation marks. As you type, the database will suggest topics. Below the search box is a link to Advanced Search, which lets you control and narrow your search. For example, you can specify exactly what types of information sources you are seeking. Boolean-savvy users: Each search box is treated like a giant set of parentheses and you can use the pull-down menu to the left to join the contents of the search boxes with AND, OR or NOT. The default is AND. Keyword (everywhere in the document). Document title (article or image title). 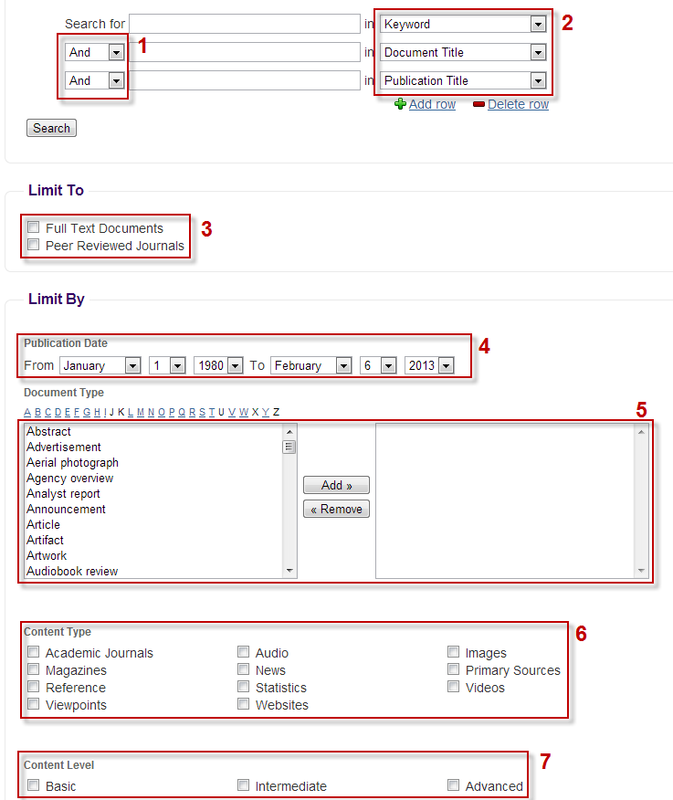 Checkboxes allow you to restrict your search to just documents that are available in full-text in this database, or just documents that are peer reviewed journal articles. Publication date lets you limit your search to documents that were published within a certain timeframe. Document type lets you limit your search to only articles, images, statistics, etc. Content type is a simpler way to ensure that you get just search results from academic journals, primary sources, or whatever. Content level is a way to tell the database what level of difficulty or sophistication you want your search results to have. Your search or browse results will be organized by document type. To access any resource, click the title, which is also a link. Once you open a document, you will its contents on the main part of the page. Bookmark gives you a permalink to the document, which is what you need to use if you want to come back to this document or share it with someone else. Citation tools gives you the properly formatted citation for the document in APA or MLA Style. Download, Email, Print and Save are all options for keeping a copy of the document or sharing it.